F**K YES! It’s almost Game of Thrones time again, and with the final series threatening to be the greatest finale anyone except GRR Martin could imagine, we’re starting to get a bit excited. That’s right, we’re fair dinkum barred up over the forthcoming series. 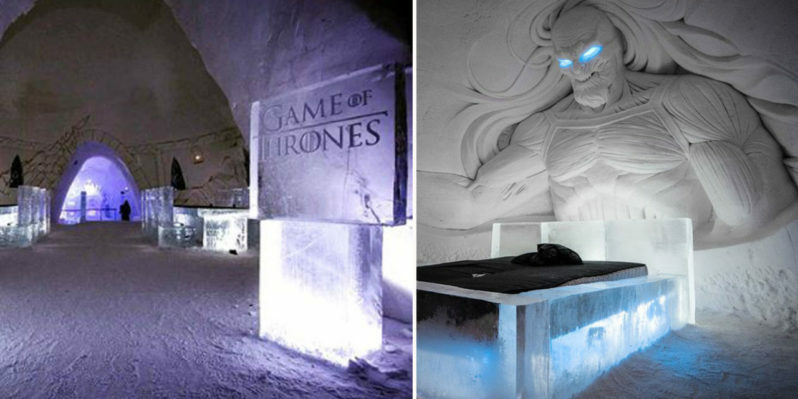 We just wish we could spend a few nights in this awesome Game of Thrones themed Ice-Hotel in Finnish Lapland to binge-watch the epic finale. Have a bloody gander at this bewdy. Without intending to Dad-joke you all, it looks cool as f**k! 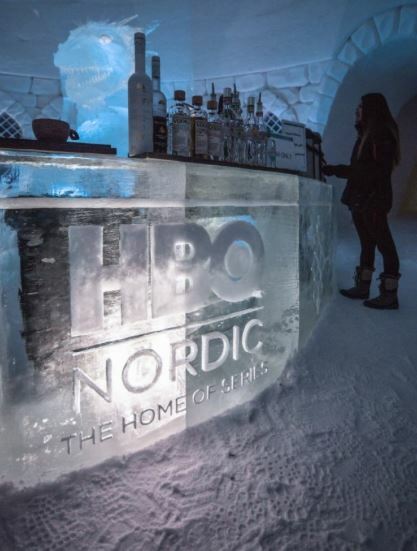 Designed and built in collaboration with HBO Nordic at the Lapland Hotels SnowVillage, this thing is the ultimate getaway for the Game of Thrones obsessed nerdlinger. 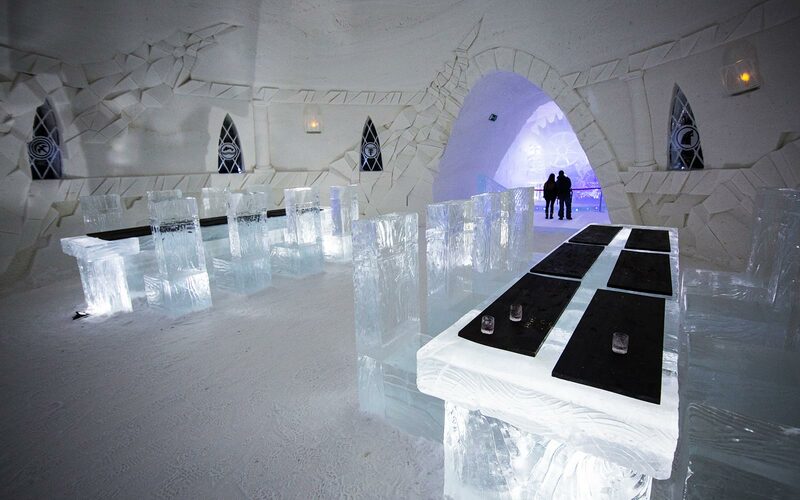 You can even get bloody married there! Although, and we say this earnestly, Game of Thrones weddings don’t really have a history of happy marriages. Now, we don’t want to s**t on your dreams, if you do fancy your own Red Wedding – or worse – but you might want to be careful with that one. 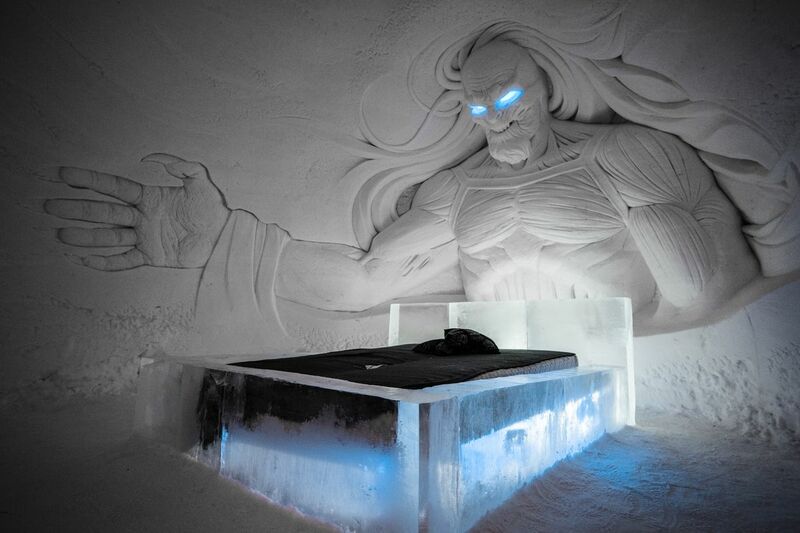 Despite that, what could be better than sleeping on a frozen bed beneath the b**tard child of Thanos and a White Walker? You’ll say your nuptials and you’ll lead your lady love to the bed and that’s when you’ll notice the f**ken humongous sculpture with its penetrating blue eyes. You’ll be like, “Oi, no eye contact!” and it will just keep staring. If the cold’s not enough to shrink your Johnson to the size of a Littlefinger, that bloody monstrosity ought to do it. Deadset, he even looks like he’s about to smack your missus on the arse. All joke’s aside, this place really is pretty bloody grouse. 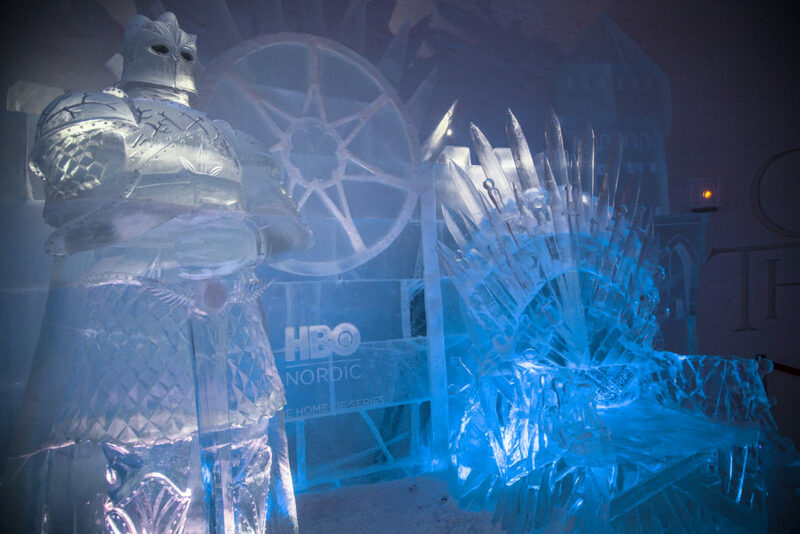 There’s even a life-size iron throne and a Braavosi Hall of Faces. Just don’t light the fire; we all know that’s how the season ends. Final thought: With only one year left to really enjoy the cultural phenomenon that Game of Thrones has become, what’s the bet this frigid masterpiece does a roaring trade?